Chas Short’s practice primarily focuses on the defense of white collar prosecutions and investigations such as those involving Foreign Corrupt Practices Act issues, tax controversies, allegations of mortgage fraud, securities issues, banking issues, health care issues, and other regulatory matters. He represents clients in both federal and Florida state proceedings. 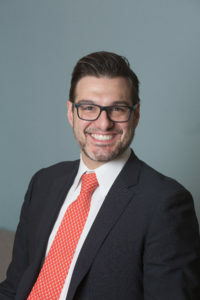 In addition to Mr. Short’s representation of clients in connection with white collar investigations and prosecutions, he also conducts corporate internal investigations and assists businesses in developing compliance programs. Mr. Short is a member of the Florida Association of Criminal Defense Lawyers (FACDL) and the National Association of Criminal Defense Lawyers (NACDL). He was recognized by the University of Central Florida as an Alumni Rising Star. Chas Short attended the University of Florida Levin College of Law where he earned the Irving Cypen scholarship, which is awarded to the top ranked first year law student (first out of 416), and graduated Order of the Coif. Chas Short was retained post-sentencing and post-appeal to attack a life sentence imposed after trial for a client was previously represented by different counsel. Mr. Short obtained a reduction in sentence and the client’s immediate release from federal prison. Chas Short and Paul Calli defended at trial a Senior Captain for a major commercial airline company, accused in Florida state court of crimes related to the protection of his property. Five persons claimed the client discharged a firearm at them. The jury acquitted their client after 34 minutes of deliberation. Miccosukee Tribe v. Cypress et al., 814 F.3d 1202 (11th Cir. Dec. 23, 2015) (affirming dismissal with prejudice of “implausible” complaint in Civil RICO case). Miccosukee Tribe v. Guy Lewis et al., FLWSUPP 2307MICC (Fla. 11th Jud. Cir. Dec. 12, 2015) (finding entitlement to attorneys’ fees where opposing party and opposing lawyer brought lawsuit in bad faith despite “knowing and having access to the evidence which conclusively refuted those claims”).